Today’s podcast share is a reading from an Angel Meditation card on the golden light that shines through from all of us. 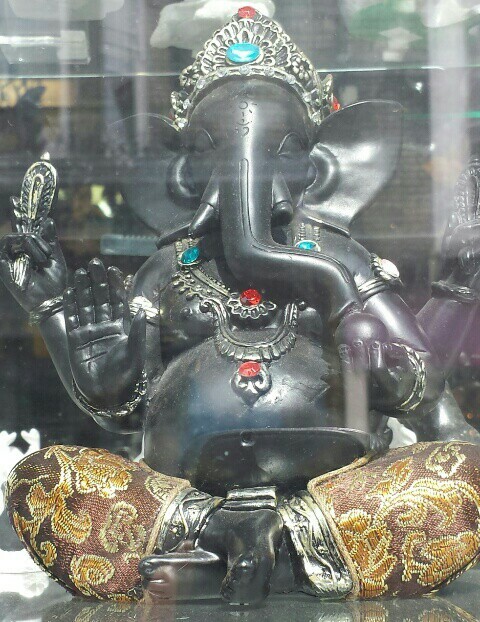 This photo is Sri Ganesha, the Hindu God for overcoming obstacles and prosperity of all kinds! This entry was posted in Inspirational, Positive Affirmations, Spiritual and tagged angels, community, happy thoughts, ipadio, Linked In, oracle cards, positive affirmations and audio stories, self development, stefsvoice4u. Bookmark the permalink.